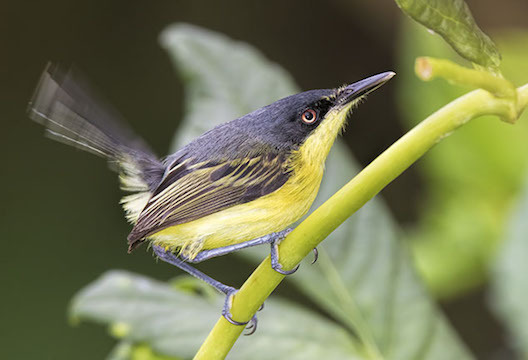 Tody-flycatchers are tiny, strikingly-marked birds with big, flattened bills. 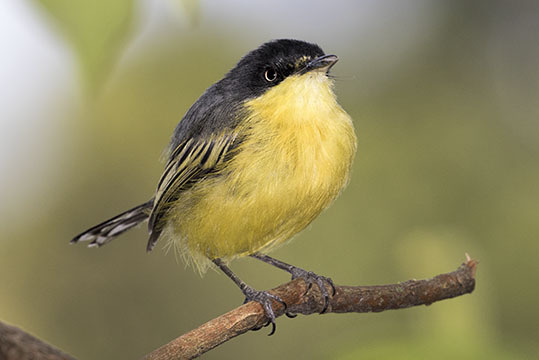 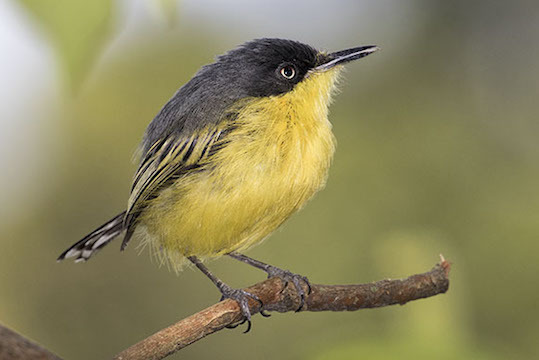 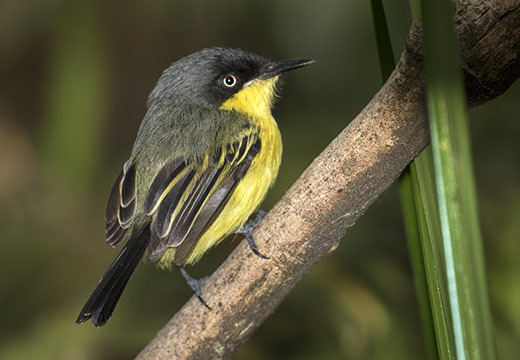 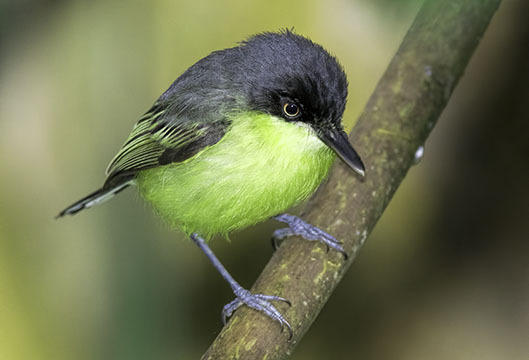 This common tody-flycatcher was photographed near Tatama National Park in the Western Andes of Colombia. 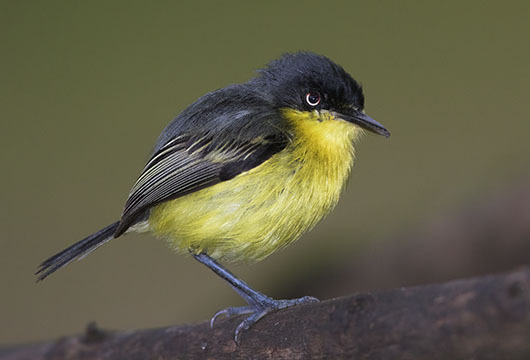 The tail-twirling display (above, left) was striking but I could not determine what the 'target' of this behavior was.